Outside the embassy’s gate, what appeared to be a bloodstain was visible near the blast site. 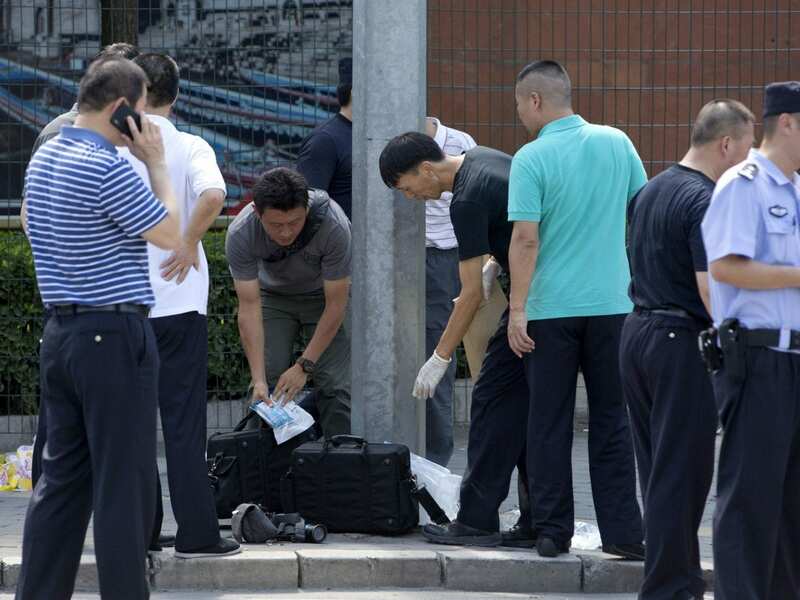 A spokesman for China’s Foreign Ministry, Geng Shuang, said the explosion was an isolated incident, and that police were handling it, according to the Post. The U.S. Embassy is located in an embassy district in the city’s northeast adjacent to the Indian Embassy. “All Indians are safe,” Bambawle reportedly said.